PowerSeries Control Panels have a proven reputation for providing the value and dependability that security professionals demand. The modular design of the PowerSeries v4.6 Control Panels provides even more value-added features including support for CO detectors, an automatic synching feature to reduce install time and the flexibility of different alarm reporting paths. opt for VoIP (Voice over IP) or cellular phones. The PowerSeries v4.6 Control Panel gives the option to combine alarm reporting paths through Public Switched Telephone Network (PSTN), Internet or GPRS/GSM channels. 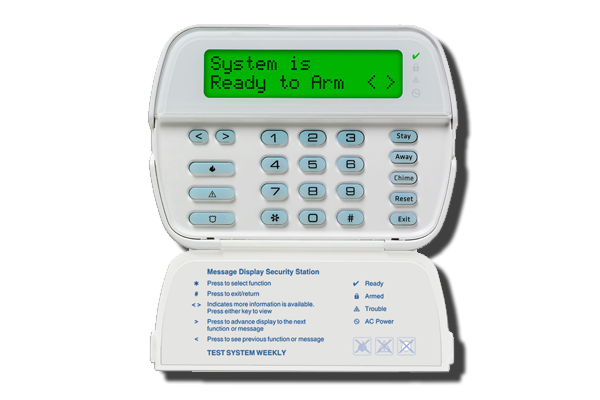 Having Internet with GSM/GPRS as backup provides complete security. to this revolutionary hybrid system. In keeping with PowerSeries Neo’s wide spectrum solutions, the HS2TCHP TouchScreen is designed with user-friendliness in mind. Packaged in a clean, low-profile case in either white or black to easily blend into any décor. 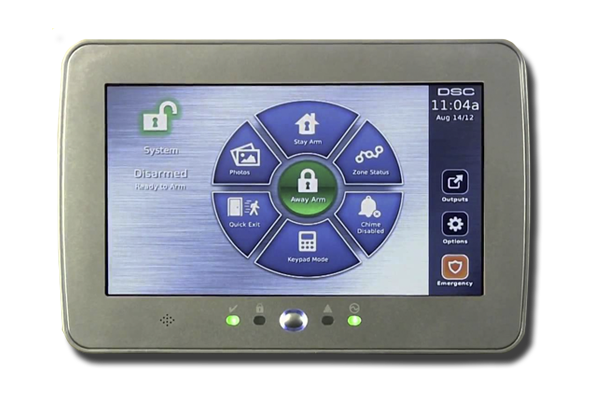 Easy For Users The PowerSeries Neo Touchscreen keypad has been designed with the user at ‘top of mind’. Large, clearly recognizable onscreen buttons and intuitive menu-driven screens facilitate ease of medical use and programming. For example, to access the Fire, Medical, Panic keys, users just press the EMERGENCY button on the sidebar. LED status lights on the bottom of the frame provide a quick visual check on the security system. For more information and news, please visit the DSC website.